We’ve all heard of the Knights Templar, at least I think so! An ancient religious fraternity that swept to immense power in the middle ages. Probably more powerful than the church and many notorious kings of the time. They are best known for the crusades. The iconic red cross emblazoned on a white background is symbolic of our modern imagination and concepts of whom they were. Knights of old travelling many miles to fight in the protection of their Christian Jerusalem. Whatever you know, or think you know, they rose, and fell, ultimately hounded by men in power that sought to destroy them. Many people are unaware of how strong they were in Portugal and what part they played in its early sea faring adventures. 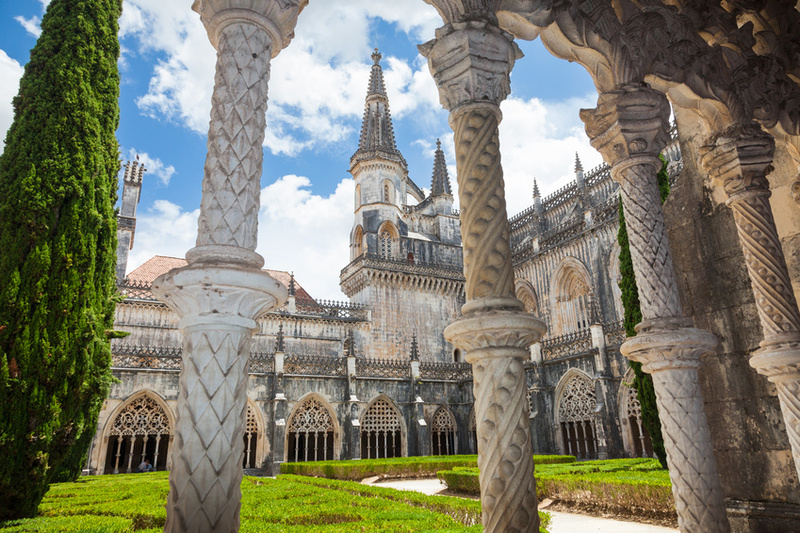 Portugal provided a place of protection and in turn they lavished the country with some of Europe’s most significant Templar palaces and churches. Indeed the Templars were provided with protection from the king himself under decree from Rome. Today their legend lives on, shrouded in a mythical status within the very fabric of Portugese society. Perhaps read this article if you fancy exploring some interesting concepts of Portugese royal lineage and the preservation of the Templar legacy. For many of us though. We simply love the visit the many ancient sites, stand dumbfounded in their beauty and lap up the tour guide information about times gone by. If you are heading to Portugal I cant recommend enough going on one of the many local tours following in the footsteps of the Knights Templar in Portugal. If you’re into history (which we are) then its fascinating; and if you’re into beautiful old buildings set in picturesque landscapes, then you’ll equally love it. Portugal has some amazing Templar sites, not least of which is Tomar, the last Templar commissioned town to be constructed. Tomar was very important in the 15th Century when it was the centre for expansion of Portuguese territories overseas. 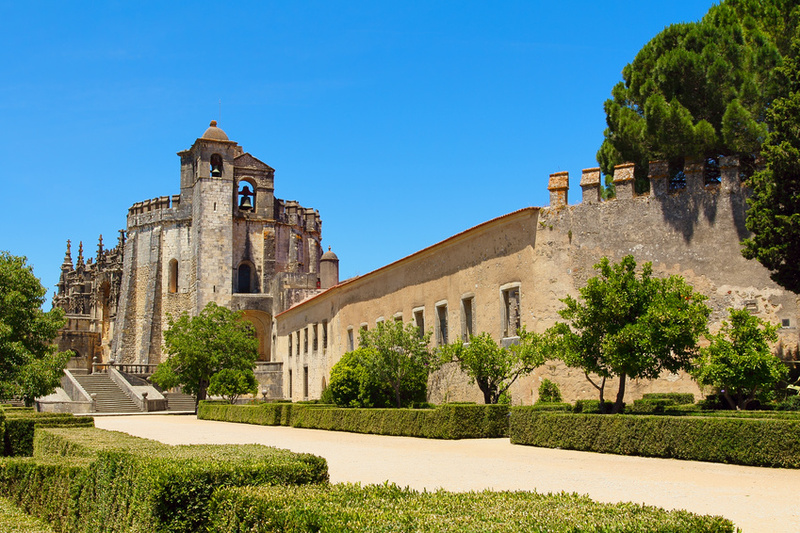 At the heart of the town is The Convento de Cristo, (The Convent of Christ) a fabulous Templar castle and convent – probably one the best you’ll ever visit. The centre piece is the round church, built in the second half the the 12th century. Exquisite in design and detail, it is modelled on the Dome of the Rock in Jerusalem. If that wasn’t enough, other Templar sites worth visiting include Batalha Abbey, Nazare, Dornes and Almourol. Sintra is often a day trip for tourists staying in Lisbon, but actually the sights and sounds of Sintra are well worth a weekend visit, or even longer. Sintra covers several small towns and a large slice of the Portuguese coastline, offering amazing views throughout the year. It is often referred to as the capital of romance, and with its often-surreal qualities you can certainly see why. Each palace looks completely unique, set amongst beautiful wooded landscapes littered with exotic plants. A stunning place to explore. The small the town is very pretty and offers some incredible views of the surrounding countryside with lovely restaurants and quaint cafes – you could easily fritter the day away here. If you’re into art then you’ll love the Sintra Museum of Modern Art, with lots of eye-catching works. Or head along the road towards Sintra-Cascais Natural Park where contemporary pieces line the streets. Sintra is a great place to go souvenir shopping too, or to try the speciality local pastry – the scrumptiously delicious Queijida de Sintra. You might even discover hidden gardens, and yet more palaces throughout the town centre. Everything is accessible by foot, but wear comfortable walking shoes to really enjoy the local vicinity. Although the Monserrate Palace and Park is a little further out of the town it’s still worth a visit with its gothic, Asian and Arabic influences. If you have a head for heights go along to the Moorish Castle where spectacular views add to the atmosphere. Pena Palace is also close by and worth visiting but bear in mind it can be very windy, so dress warm! 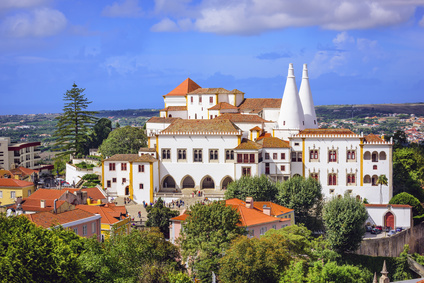 In our opinion, Sintra is one of the very best places to visit in Portugal. It is a popular tourist destination, so it’s busy. But if you don’t mind sharing it’s a place that wont disappoint. Batalha in the Leiri district, central Portugal is a fabulous place to visit. Best known for its dominican convent Santa Maria da Vitoria, which is listed as a world heritage site by UNESCO. It really is a masterpiece of gothic architecture intermingled with Manueline style. Notably its one of the most important buildings of its kind in Portugal. Whats interesting and difficult to grasp, is that it took over a 100 years to build. Starting in 1386 and only finishing in 1517 – indeed it spanned the reign of seven kings in that time. It apparently housed 1000 monks at its height. If you’ve travelled round Portugal and seen many of its sites, the covent will certainly stand out as an unusual building for its setting. It’s reminiscent of a more north European style, germanic even. Either way its incredibly interesting and very well preserved for its age. If only our modern structures had such resilience! Within the convent is the tomb to the unknown soldier. A first World War memorial for the young men who fought and fell in the trenches. The inside of the convent is magnificent. The nave and choir, with its vaulted ceiling is dramatic to say the least. Tombs to the four princes are beautifully decorative, with intricate stone carving that holds your stare for some time. The tomb of John I is equally as ornate. Outside is the portal of the unfinished chapels. Huge archways tower over you in spectacular fashion. Other notable areas include the Founders Chapel and the Chapter house. Whilst the town has ancient origins it is blighted by some rather ugly modern architecture. Batalha is worth the visit though, primarily for the convent. Not far north though is the town of Leiria with its strategically important castle, once a royal residence. The views are worthwhile. 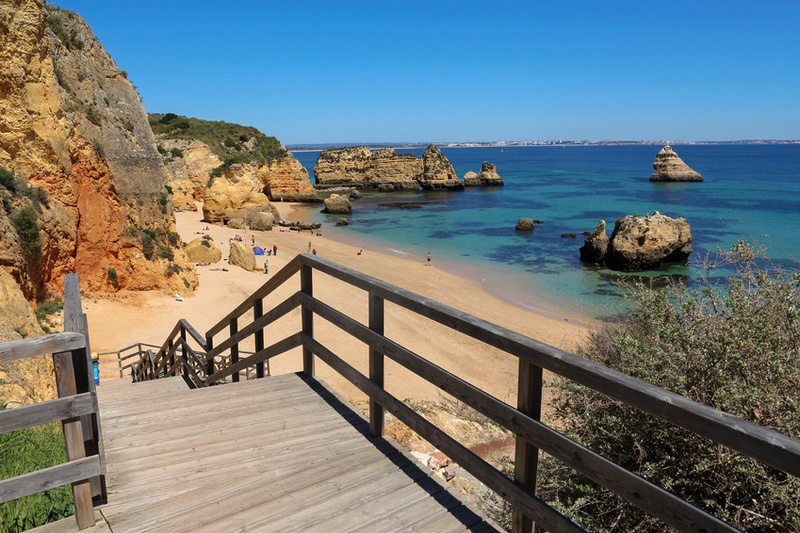 Lagos in the Algarve could be perceived as a typical tourist spot, much like many of the Algarve towns and villages. But it is one of ur favourites. Its also a favourite of my 75 year old father and mum. They have spent many months there, every year camped out at the ex-service men campsite in their motorhome. So what the draw? For us it is the beautiful deserted beaches a stones throw away – well a bike ride anyway. Lagos itself is a lovely little town with wonderful shops, fresh produce to fill your fridge or BBQ out for the evening. To the west of Lagos are some cliffs and beautiful coves carved into fantastic shapes with hidden caves to explore. From lagos you can get a boat to these hidden beaches from the many touting vendors. However you can also cycle along the coast to reach them. Beware the steep inclines, but enjoy the fabulous views. You’ll reach Praia de Mos which in itself is lovely beach, but along the coastline are dotted the towering matchboxes of tourist properties. Villas, hotels and resorts. Ponta da Piedade (Bridge of Mercy) is not far away. Whitewashed chapels in a lovely village setting. The cape has a lighthouse too, but more notable are the rock formations and caves. You can get back to Lagos via the cliff walks if you’re feeling adventurous. Further along is Praia de Camilo. Look down into the depths from above and you’ll see a gorgeous little beach. Well worth the clamber down the 100 steps or so. Great for sunbathing and having lunch. The water does rise though and you could end up trying to find your way back up before the beach completely disappears. basing yourself in Lagos gives you the choice of so many wonderful beaches, whiter you head east or west along the coast. You’ll be sure to find a beach for you. Small, large, quiet, busy, whatever your heart desires. In our opinion Lagos is a great place to base yourself. Wine in Portugal reminds me a lot of Portugal on the global scene. The Portuguese used to ‘rule the waves’ and dominated global exploration in the 15th century. Portugal was a major player, but this slipped over the years and it is only after removing their dictator in the 20th century did Portugal start to fully recover. Ask an American about Portugal and they’ll invariably have no idea what, or where it is. In the European news, Portugal gets little or no mention. Ask a brit about Portugal and they will reference only the Algarve and a perception of beautiful beaches and hours of sun. Portuguese wine is not that dissimilar. It has legacy, some vines are 100’s of years old. 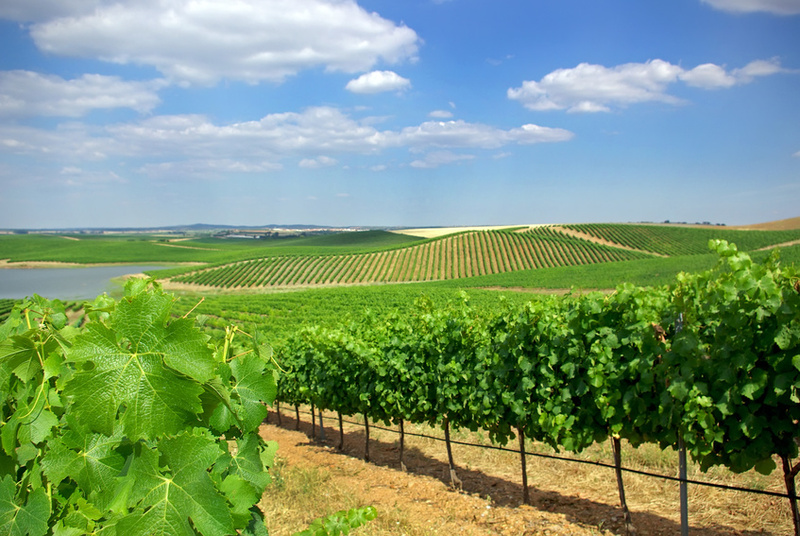 The first vines were planted by the Romans – thats a long time ago! Drive around the Algarve on holiday and purchase some cheap wine from the supermarket and you’ll often be confronted with some pretty nasty wine – well what do you expect for 3 euros? However, Portugal produces some of the best wine in the world. Don’t take my word for it, just check all the awards they’ve won. Up you budget to 10 euros, or even 20 and you’ll be tasting some of the finest wines in the world. Portugal has an incredibly long history producing wines. It has the soil, it has the weather, it has the knowledge – so why is it so lesser known? Who knows, its probably perception, its probably marketing. Whatever it is, i don’t mind as it keeps the lovely stuff safe for my wine rack. If you fancy a tour through the many vineyards in Portugal, a safe place to start is the Douro valley. Probably the finest wine growing region in the country. Theres a great selection of river cruises, along with tours through some of the best vineyards. Of course theres lots of lovely wines to taste too. Another great trip to do if you are motorhoming, or have a car is the Alentejo wine route. My parents did this journey in 2014 and had a lovely time. They obtained a handy little book that directed them to all the best vineyards whilst soaking up some fantastic scenery. Further north you have the opportunity to taste the infamous beverage that most people associate with Portugal – Port. I am bias as it one of my favourite drinks. A mixture of grapes gives this slightly sweet, incredibly strong wine its lovely taste. There are numerous vineyards open to travellers, so theres no excuse if you are in the region. A guided tour around this beautiful landscape wont disappoint.